The Mission: Impossible series has lasted for almost 20 years and is one of Tom Cruise’s most recognisable roles. They aren’t groundbreaking cinema, nor are they the best films about espionage in the modern age. But what they never fail to be is an entertaining, high impact action film series, with Cruise’s headstrong performances a primary reason to revisit them again and again. Mission: Impossible – Rogue Nation sees Cruise return as Ethan Hunt, still continuing as the head agent of the Impossible Mission Force trying to infiltrate and capture a terrorist syndicate spanning many nations. Meanwhile an angry CIA chief, played by Alec Baldwin, shuts them down for a number of unjustified reasons. Taking off without the support back home, Hunt continues to search the world for the secret society, when he meets strange femme fatale Ilsa Faust, played by model Rebecca Ferguson, who knows more than she appears to be telling Hunt. Written and directed by Christopher McQuarrie, the film doesn’t ever become too hard to follow and Cruise and Ferguson are both absolutely excellent in their roles. There are also many references to old spy films and there’s quite a bit of nostalgia exuding from the narrative. What is also fresh about the film is that it is unbelievable – too often in film nowadays are we treated to realistic scenarios that lack the thrill and excitement of over the top action sequences from the 20th century. 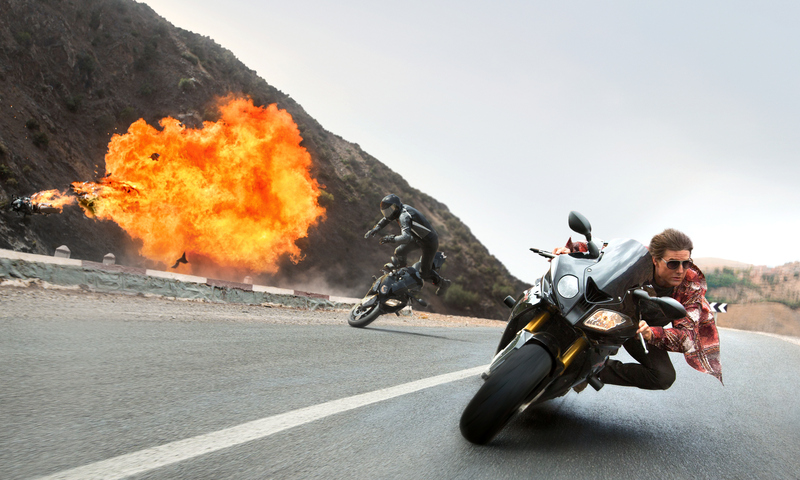 Thankfully Mission: Impossible knows its place and doesn’t try to be something it isn’t, instead opting for a fun and fearless adventure. Watching the film, it’s fun to be reminded of what a good actor Cruise can be. He handles the comedy here well and is obviously fantastic at performing some of his own stunts, which are highlighted throughout the film. Mission: Impossible solidified Cruise as a A-listing action movie star and this performance is much better than any of his in recent years. And of course all the visuals of Cuba, Vienna, Casablanca and London are excellently presented. Supporting performances from Jeremy Renner, Simon Pegg and Ving Rhames only make the story stronger and enhance Cruise’s character, rather than detract from it. Overall, the experience of the film is fast and fearless – MI works because it puts entertaining above all else. Originally published on OuttaGum, 20 August, 2015.